Put the finishing touch on any outfit for a classy night out with this pearl necklace. 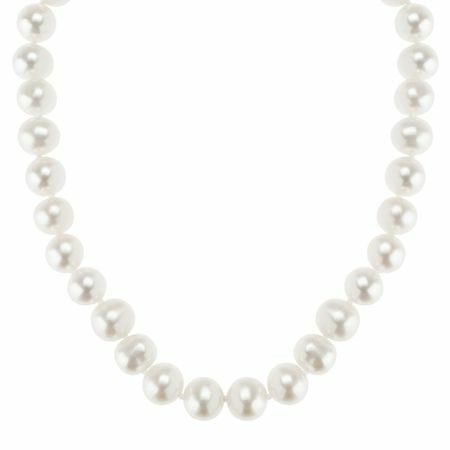 8-9 mm white freshwater potato pearls line this strand necklace, finished with a 10K gold clasp. Piece measures 18 inches in total length.